This month was a lovely club evening. 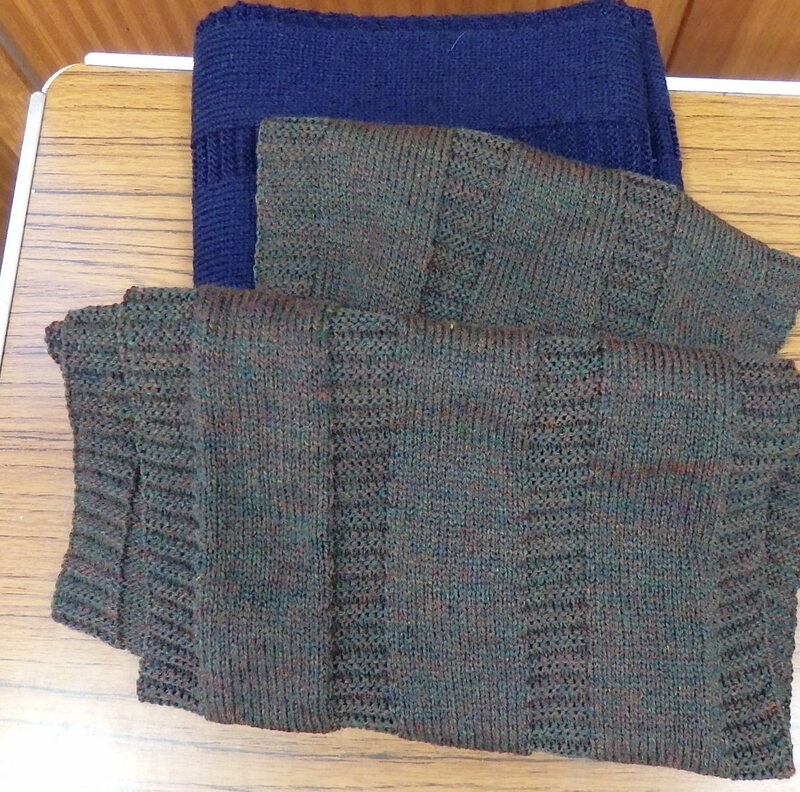 To start, as we had made some scarves and other items for charity, Gill, our chairwoman, suggested we talked about our items. 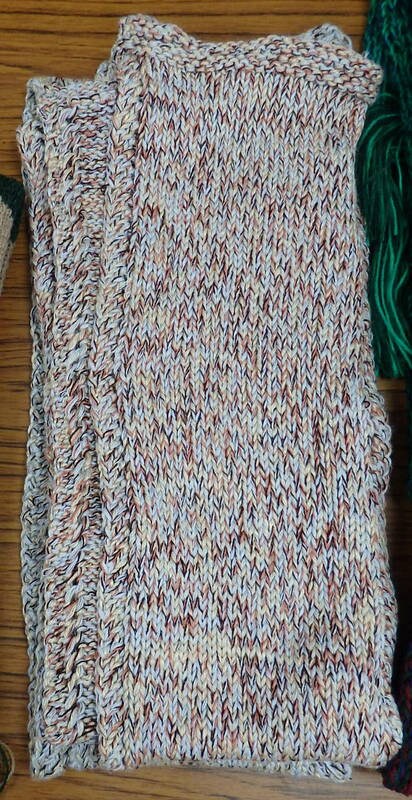 The aim was to use up some yarn from our stash by stranding together or knitting in stripes or just plain colours to use up yarn left over from other projects. 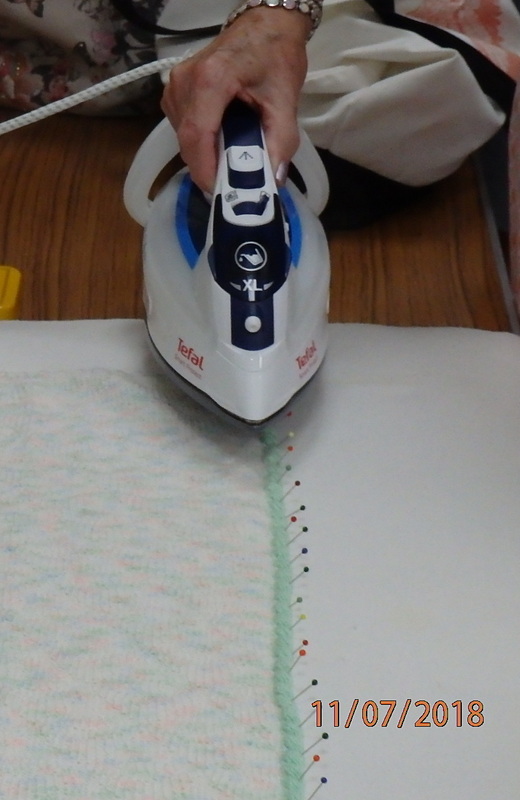 Previously Margaret had demonstrated a non-roll edging which was useful for single bed stocking stitch scarves. 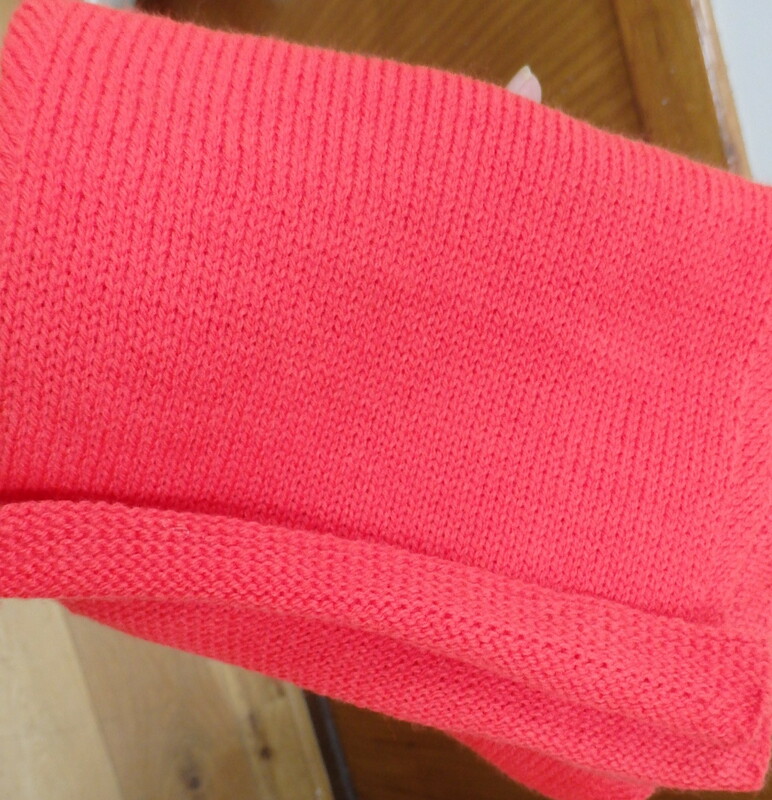 There were a range of techniques used, ribbing, tuck. 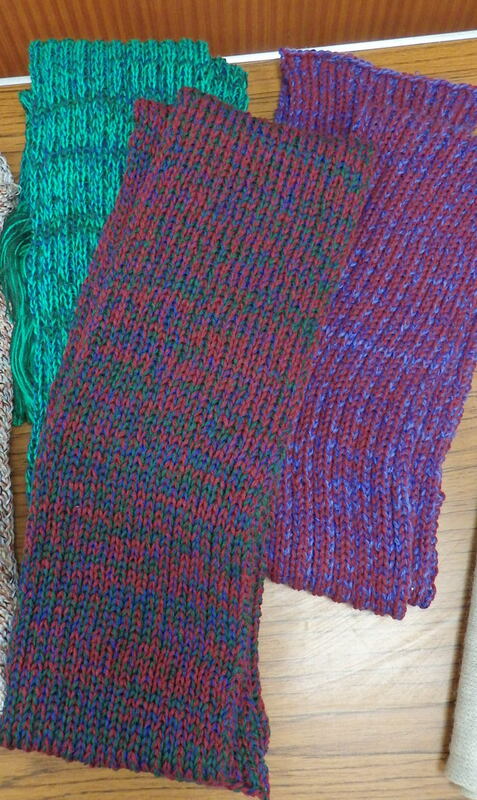 tuck lace, garter stitch as well as stocking stitch. 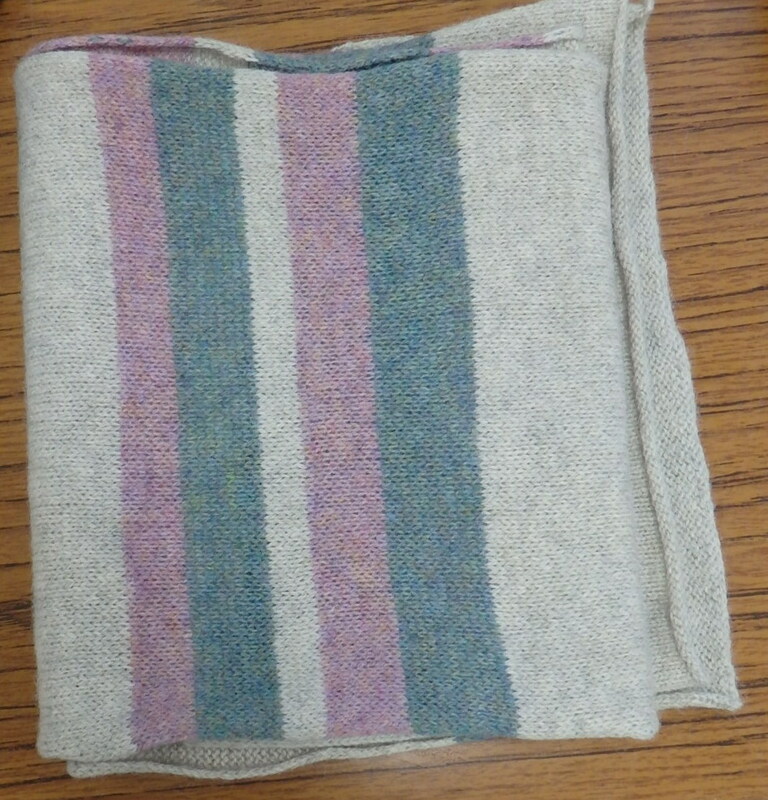 edges and fringes were added to some. 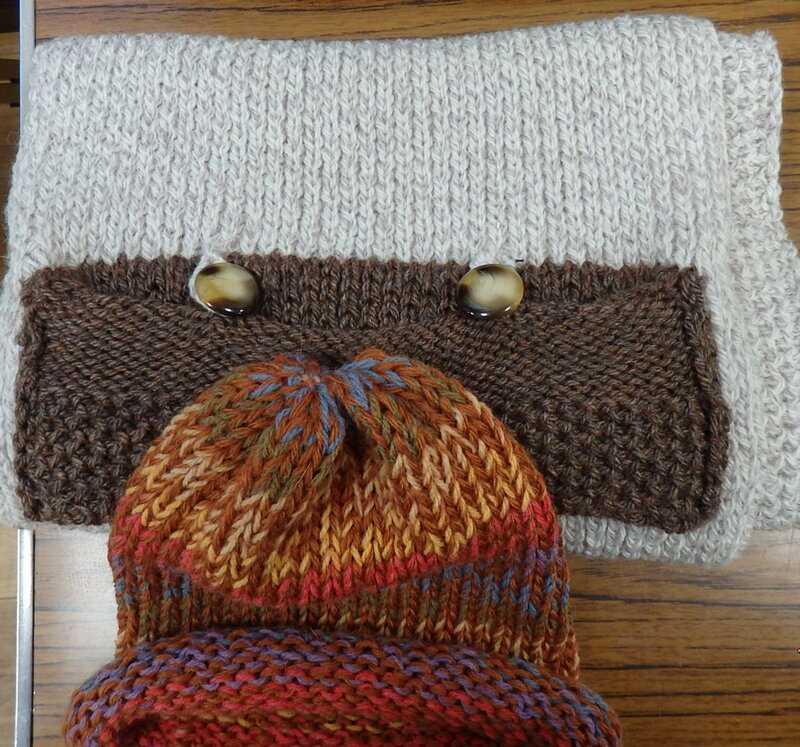 In addition to the scarves, a hat and some dolls were also made. All these will be donated to the charity Knit for Peace. 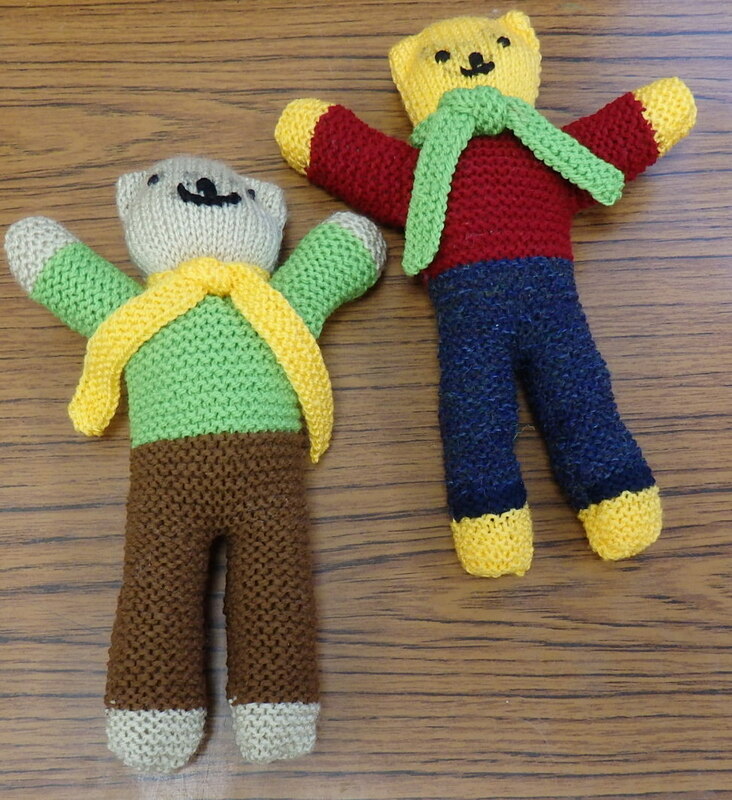 In addition, some items were given in for a Christmas stall which Gillian is running in support of the Hospital Kidney Unit. After this, we had a Hints and Tips discussion where members had brought along their favourite hints or tips and we all found out about something we hadn’t known before. A list will be available shortly on this website. The discussion that followed made for a very interesting evening. 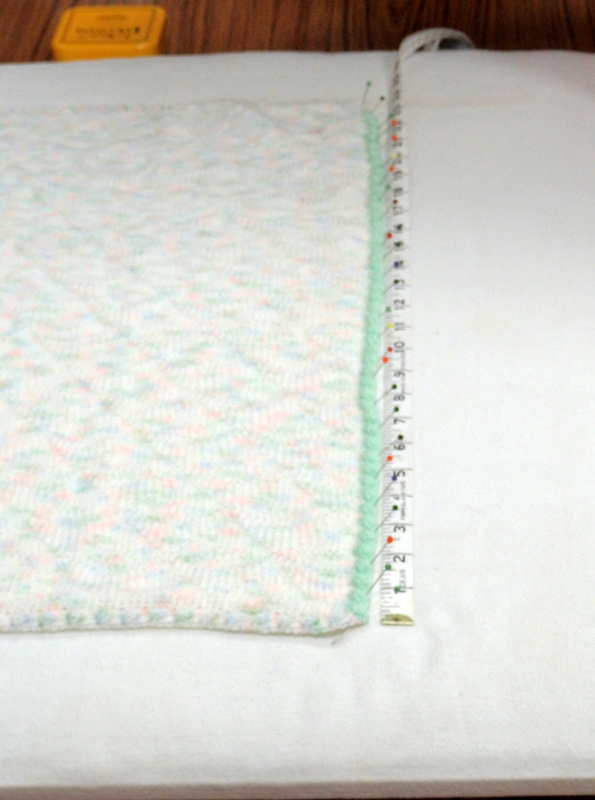 There were two demonstrations – April brought along her homemade blocking board and a steam iron to show us how she steamed the edge of a tuck stitch baby blanket, Margaret set up a machine to demonstrate a method of unravelling several rows easily using the Garter bar retaining piece to hold the needle still in Hold position. 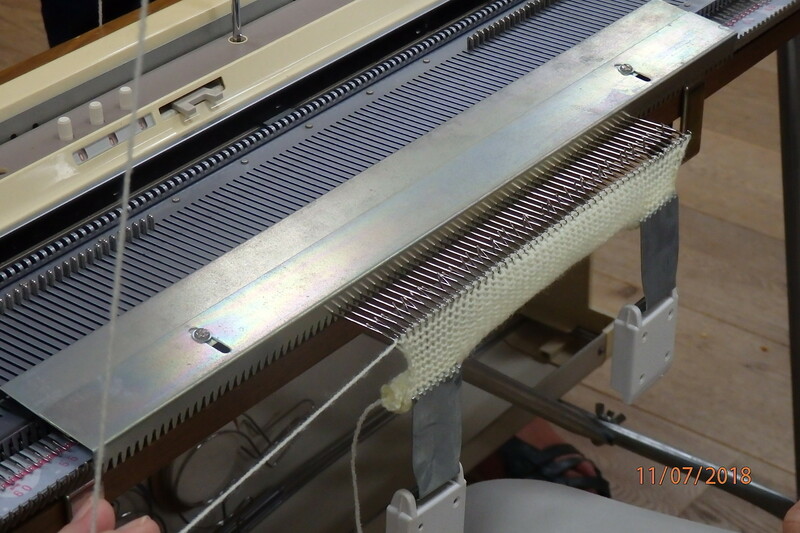 Nobody had seen this before and we were very interested in how quickly and easily you could undo rows without dropping stitches.